Recipe – Neil Baldwin's blog : Warning contains walking, technology, photography, holidays. My plans for Sunday were pretty simple, get up have some breakfast, take it easy, perhaps a walk somewhere. Things then got a bit more complicated, I checked out twitter and I noticed a tweet from “Ian visits” suggesting that Mark Abrahams was doing a talk in London and there were tickets available. Helen was insistent on the original Sunday plans so I was on my own. 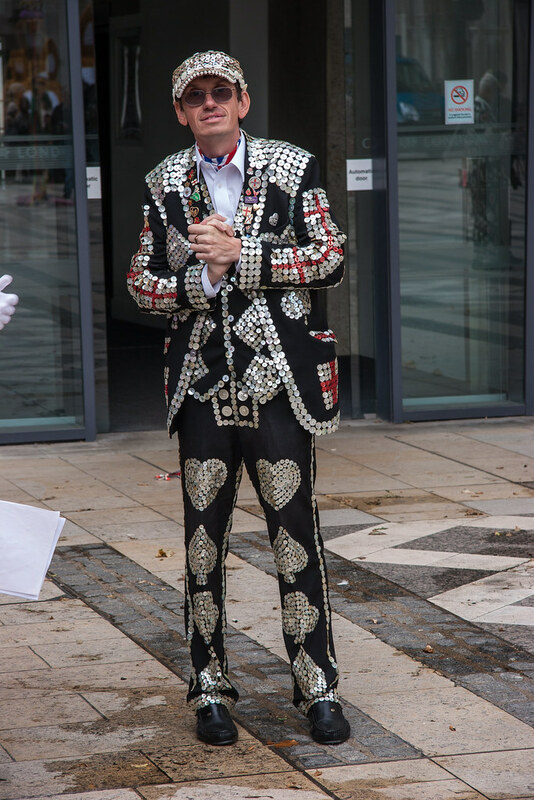 Ticket was booked and an additional event was found : the Pearly Kings and Queens Harvest Festival. I had a plan. Who is Mar Abrhams you ask? You may remember Helen and I went to the Ig Nobels a few months back (see blog post) but if you can’t here is a summary I nicked from the internet : Marc Abrahams is the editor of the parody magazine Annals of Improbable Researchand the founder of the Ig Nobel Prizes, which honour bizarre, questionable, and downright funny scientific research and are presented at an annual ceremony at Harvard University. Abrahams and the Ig Nobel have been widely covered, including by the Guardian, the New York Times, New Scientist, Scientific American, and newspapers and TV programmes internationally. The author of The Ig Nobel Prizes, published in 2002, Abrahams writes a weekly column for the Guardian. He lives in Massachusetts. I got the 10:54 from Berkhamsted, which was surprisingly busy, but I managed to get a seat, next to the loo. Better spot than those who had to stand just outside the loo door! I used the journey to finally catch up with the Archers, after holidays, using the podcast app on my phone. I got the tube to Bank then Google maps guided me to Guildhall. 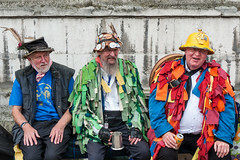 Guildhall has been the City powerhouse since the twelfth century. In an era when the Lord Mayor of London rivalled the monarch for influence and prestige, this was where he and the ruling merchant class held court, fine-tuned the laws and trading regulations that helped create London’s wealth. 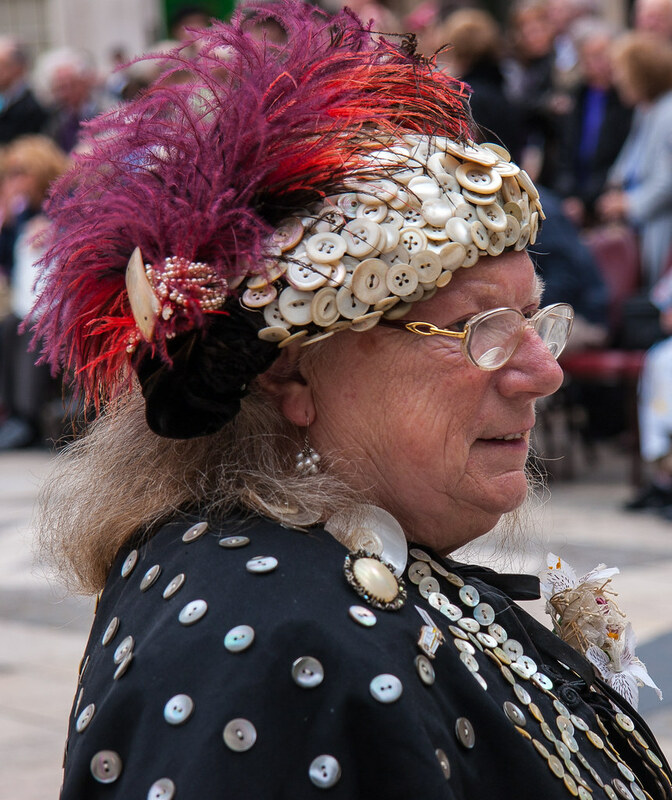 Today, 800 years on, Guildhall is still home of the City of London Corporation, and acts as a grand setting for glittering banquets in honour of visiting Heads of State and other dignitaries, royal occasions, and receptions for major historical anniversaries. 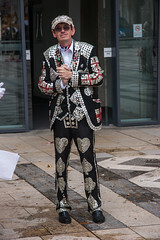 There were not many people there, as the main event did not start till 14:00, but that mean the Pearlies were easy to photograph and photograph I did. My understanding of the event is that it is a celebration of harvest time and all the Pearly Kings and Queens get together with the mayors of all the boroughs and have a celebration and march in thanks for the harvest. 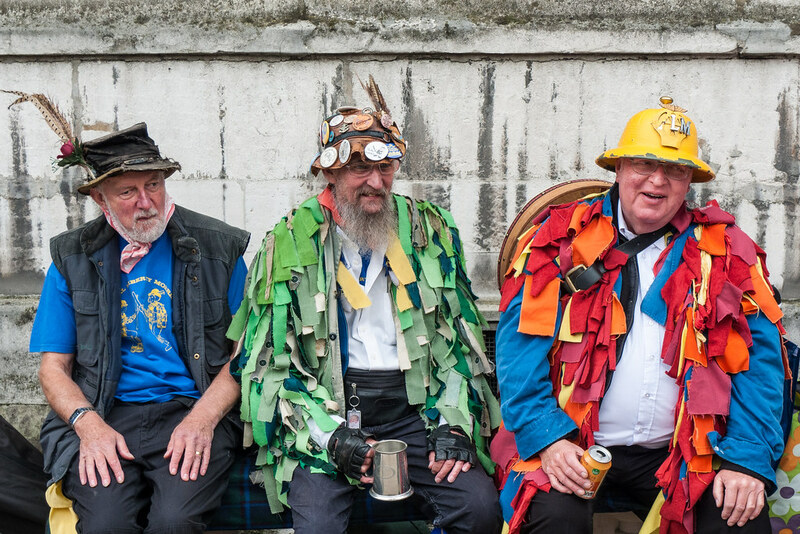 Apart form people in cloths covered in buttons, and people in cloaks with heavy chains around their necks, I saw Morris dancers, Chelsea pensioners, and some donkeys pulling carts. I had to leave just as it was starting, so what really went on who knows. I jumped on the tube at St Paul’s and walked after alighting at Holborn then walked round the corner to find Conway Hall, to watch “The worlds most improbable event?” by Mark Abrahams. Once I had located the hall I popped round the corner to find something to eat, luck would have it there was a traditional Fish & Chips shop close by so got a bag full, and ate on the run. 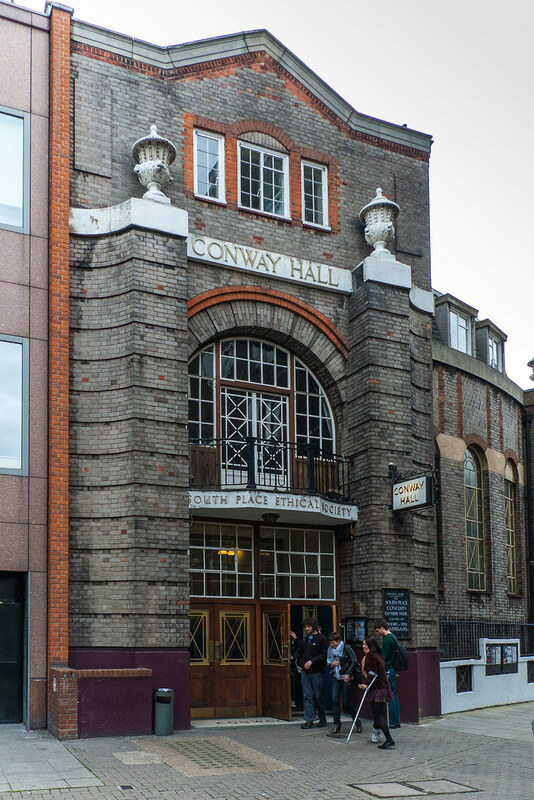 Conway Hall is an ethical place according to the sign you see as you enter. According to the website of Conway Hall : Conway Hall is owned by South Place Ethical Society and was first opened in 1929. The name was chosen in honour of Moncure Daniel Conway (1832 – 1907), anti-slavery advocate, out-spoken supporter of free thought and biographer of Thomas Paine. The Hall now hosts a wide variety of lectures, classes, performances, community and social events. It is renowned as a hub for free speech and independent thought. Our Library holds the Ethical Society’s collection, which is the largest and most comprehensive Humanist Research resource of its kind in the United Kingdom. The talks had a different format to the Ig Nobel one, rather than the authors of wining papers presenting their research, guest speakers were invited to chose from a selection of Ig Nobel and other improbable papers, then present it in two minutes then answer one question from the audience on the subject of the paper. Amongst the papers presented was : A bra that converted into a gas mask, The colour preferences of people with various mental conditions, and a patent application for a birthing aid based on centrifugal forces. At the end of the presentation was the obligatory recital of a poem by McGonagall about the Tay bridge disaster which can be found here. I bought a copy of the Mark Abrahams book as I left and headed back to Euston to catch the train home; Holborn – Piccadilly – Euston. For dinner I cooked Tumbet using a recipe of my own making. Tumbet is a Spanish/Moroccan dish made with sliced and fried potatoes, aubergine, and red peppers layered with tomato sauce and topped with some hard cheese, then cooked in the oven. I first had it the other week as a Marks and Spencer ready meal and thought I could do that. My version involves roasting rather than frying and it makes it a lot less fiddly. Basically slice the potato and roast in the oven, when done put aside and replace with the peppers and aubergine slices. Whilst all that is happening make the tomato sauce by frying garlic briefly then adding tinned tomatoes (one tin per 2 people) and rosemary and thyme, then let it cook down whilst the roasting happens. Take a baking dish oil it a bit layer the ingredients and intersperse with tomato sauce top with some grated cheese (parmesan works well), cover with tin foil then cook for 30 minutes then uncover and cook for then 10-15. Serve with salad.